Hotel Emile in Le Marais, Paris - Hej Doll | Simple modern living by Jessica Doll. I’ve always heard that Paris hotels can be both pricey and on the small size, so when I started my search for a place to stay I had my guard up. High. I also found quite a divide in aesthetic as some hotels were very traditional or Parisian, and others were more modern and updated. 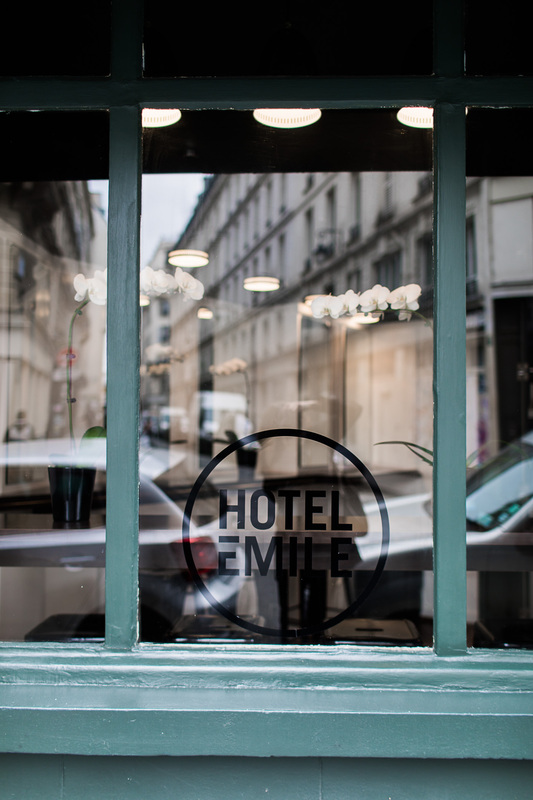 I settled on Hotel Emile in the Le Marais district as it looked updated and more my style (plus, the price was right, ha!). The hotel is a boutique hotel so it’s on the smaller side, but very modern and updated. We booked the top-floor suite which was still well within our $200 budget. It was very spacious and had nice touches in all the right places. The hotel offered complimentary breakfast, wifi, and luggage storage which was nice. The hotel design was very dramatic and modern. I would say it borders along glam in some places, especially the claw foot tubs, a nod to traditional Paris. The pops of color between the geometric patterns and black backdrop serve up a very well designed interior. I loved the dramatic paint on the ceiling in the lobby of the hotel. 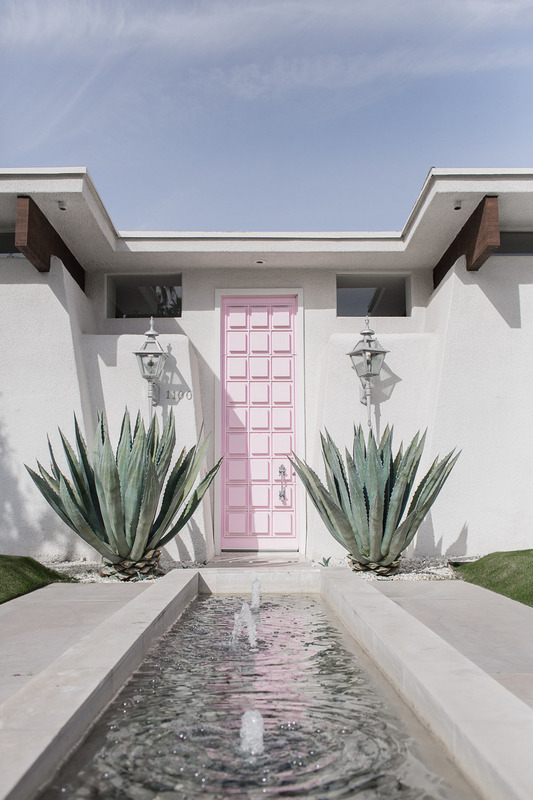 This paint by colorhouse is similar and eco-friendly. This rug reminds me of the strong geometric patterns in the room, from the wallpaper to the flooring. The hotel is located in the Marais district of Paris, very close to the Bastille and Picasso Museum. Next door was a very easy breakfast spot called Breakfast in America. Most of the restaurants on my city guide are all within very close walking distance to the hotel. We really enjoyed our stay here and would love to return again. For more about my trip to Paris, check out my planning, city guide, Winter packing list, and Summer packing list. Have you been to Paris before? Where did you stay? Did you enjoy it? Love!!! those black is so classic yet modern at the same time. boutique hotels is where it is at! Paris is like a dream that I want to see again and again. This hotel is so beautiful, gonna surely try this next time I visit!! This looks like a wonderful place to stay. Paris is at the top of my bucket list of places to visit. Wow i love the modern interior with european touch.. This might be the most gorgeous hotel I have ever seen! Simply stunning! What a fab hotel and for such a good price in Paris! thats amazing!! Love all the detailing – its so chic!